Mid-America Christian University offers bachelor's and master's level programs in a Christian environment, as well as affordable online degrees through Mid America Christian University online. Mid-America Christian University online courses equips students to impact their world for Christ through achieving Bible-based academic excellence in a Christian environment so that students professionally serve in their chosen vocation/ministry. Mid-America Christian University utilizes the Desire2Learn platform, coupling an engaging learning experience with intuitive design. Our online courses typically include texts, multimedia such as videos, chat rooms, e-mail as well as threaded discussions. Beyond the classroom, instructors are available via e-mail or telephone during office hours for collaboration and assistance with course material. Mid-America Christian University attempts to help students and their families meet the cost of higher education through a combination of grants, scholarships, loans, employment opportunities, and other sources of aid. Financial aid is available for those who qualify. Applicants are highly encouraged to start the financial aid process by completing the Free Application for Federal Student Aid (FAFSA). Our institutional code is 006942. 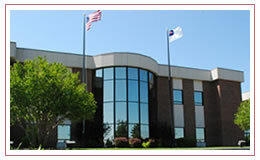 Mid-America Christian University is accredited by the North Central Association of Colleges and Schools (230 South LaSalle Street, Suite 7-500, Chicago, IL 60604-1413; (312) 263-0456; www.ncahigherlearningcommission.org). Courses may be taken one night per week in the classroom or 100% online. 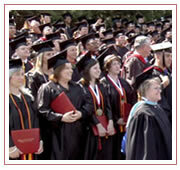 Accelerated formats help you complete your degree quickly.